Considering I just received this book in the mail on Friday and I then proceeded to spend the next 2 days painting my parents house... I haven't read it yet. But I'm looking forward to! Just as soon as I feel awake enough to concentrate! 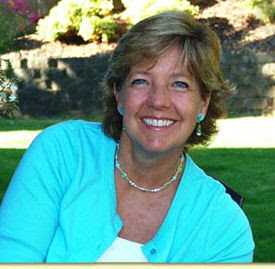 Robin grew up in Orange County, California and has lived in all kinds of interesting places, including Reno and Hawaii. Robin’s first novel was published in 1988, and she has continued to write between two to five books a year. Her 63 published books include 47 novels, all of which are still in print. Sales of her popular Christy Miller Series, Glenbrooke Series and Sisterchicks Series, including Sisterchicks in Gondolas and the new Katie Weldon Series including Peculiar Treasures all of which are approaching four million copies sold, with translations in nine languages. Robin’s passion for storytelling and travel are evident in all her books, especially the Sisterchicks novels, and she has received thousands of letters from readers around the world who have come to know Christ through her writing. She sees this as her dream come true. Her novels are traveling to foreign lands and her characters are doing what she always longed to do; telling people about God’s love. She and her husband currently live near Portland, Oregon and have been married for 30 years. They spent their first 22 years of marriage working together in youth ministry, and enjoying life with their son and daughter who are now both grown. As a frequent speaker at local and international events, one of Robin’s favorite topics is how God is the Relentless Lover and we are His first love. She delights in telling stories of how God uses fiction to change lives. Robin is the recipient of the Christy Award, the Mt. Hermon Pacesetter Award, the Sherwood E. Wirt Award and is a Gold Medallion Finalist. She also serves on the Board of Directors for Media Associates International and the Board of Directors for Jerry Jenkins’ Christian Writers’ Guild. SISTERCHICK® n: a friend who shares the deepest wonders of your heart, loves you like a sister, and provides a reality check when you’re being a brat. Two midlife mamas hop over to jolly ole England and encounter so much more than the usual tourist stops. Liz does have a bit of a childhood crush on Big Ben, and she has hoped to “meet” him ever since her fifteenth birthday. Kellie dreams of starting an interior design business and figures Liz needs to be a part of that equation–a calculation that hasn’t added up for Liz yet. Nothing on the excursion goes the way these two friends had envisioned. They start with a village pancake race and end up being held for questioning on The Underground. Kellie and Liz take a wild tour through the land of C. S. Lewis and J. R. R. Tolkien and then find themselves swept up, up, and away in a hot air balloon over the Cotswalds. London beckons with the Tower of London, Windsor Castle, shopping at Portabella Road in Knotting Hill, and of course, reservations at the Ritz for a posh high tea. 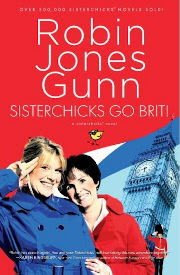 A few detours along the way and the possibility of being lost in a London fog of wonderment aren’t enough to stop these two Sisterchicks! Each step of their regal journey is lined with evidence of God’s gracious compassion, and both come to realize that God knows their every wish. He is the One who planted every dream in their hearts. And, oh, what a surprise awaits them when they return home!